Medical researchers in Europe are facing new challenges over access to clinical trials data, according to the European Ombudsman Emily O’Reilly. The Ombudsman warning came just month after the EU adopted a new clinical trials regulation, which obliges pharmaceutical companies to share scientific data on new medications submitted for approval to the European Medicines Agency (EMA). O’Reilly said scientific data on clinical trials should be made more transparent, for the benefit of patients, doctors and researchers who need “maximum information about the medicines they take, prescribe and analyse”. The EU Ombudsman, who took office a year ago, held a debate in the European Parliament on Monday (29 September) on the matter with representatives of the pharmaceutical sector, MEPs, health campaigners and the European Medicines Agency (EMA). In May, she sent an open letter to the EMA’s executive director Guido Rasi, expressing concern about a significant change to the agency’s draft transparency policy on clinical trials. The EMA is responsible for evaluation of the safety of medicines before they enter the market, and for monitoring the drugs that are already on the market. The EMA proposed that future access to clinical trials results should be available “on screen only” for researchers. This version would exclude the possibility of researchers being able to print, distribute, or transfer the information, making scientific analysis of clinical study data “highly problematic” according to critics. Rasi has since suggested a more user-friendly version of the policy. EMA will hold a management board meeting on Thursday (2 October) to adopt its new pro-active transparency policy. Speaking at the Parliament event, the EU Ombudsman stated that she has over the past five months opened three transparency investigations concerning the agency and public access to data. “I will continue to examine closely whether the EMA continues to be committed to transparency and I’m looking forward to hear the evaluation by Rasi on the challenges he is facing in the area,” O’Reilly said. Rasi answered that while the EMA believes that clinical trials data should be transparent, there were some cases where commercial confidentiality applies. US pharma company Abbvie took the EMA to court in 2013 over its disclosure policy but later withdrew the complaint after reaching a settlement with the London-based EU agency, leading to changes in the agency’s transparency policy. Consumer groups and transparency activists branded the change as a U-turn on the agency’s earlier commitments. “Therefore our new policy will spell out clearly what will be the principles to gain access. The decisions, however, will always be taken by the EMA. Next Thursday, our management board will approve this new version of the policy. That should give us, from the start of 2015, the possibility to start to actively make data available. By 2016, we should have the first clinical trials data available,” Rasi said. Ben Goldacre, a British physician and author of the best-selling book Bad Pharma, said no one can make informed choices on treatments as long as results of clinical trials are being withheld from doctors, researchers and patients. “This is not about being anti-industry. Academics are just as bad about withholding bad results. The key difference is that it’s only the industry which is actively lobbying against change,” Goldacre said, adding that he wants all trials, including retrospectively, registered, that summary results are made available and that the clinical study report is made available to highlight changes in methods. Richard Bergström, director general of EFPIA, which represents the pharmaceutical industry in Europe, said the industry has faced up to the calls from society on being more transparent. “We have agreed with our global partners on a global set of principles. Our companies will give data and study reports to researchers. We have committed to do this since the beginning of this year. It’s already up and working,” Bergström said. “We are not there yet. These are the early days, but we are really moving,” he continued. Margrethe Auken, a Danish MEP from the Greens, who was shadow rapporteur of the clinical trials regulation, said that clinical trials should benefit patients first and foremost. A clinical trial belongs first of all to the patient and to humanity and not the industry, she continued. Auken added that apart from more transparency in clinical trials, she also wishes to see more transparency regarding declarations of interests among policymakers. European Union lawmakers reached agreement in December over a new Clinical Trials Regulation, which replaces a 2001 directive. Under the agreement, pharmaceutical companies and academic researchers will be obliged to upload the results of all their European clinical trials to a publicly accessible database. 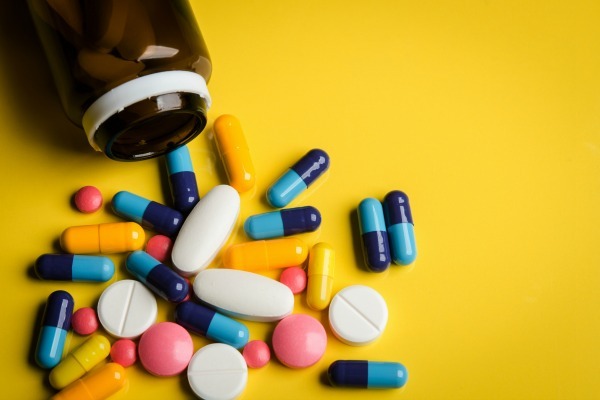 A publicly accessible EU database will be set up and run by the European Medicines Agency (EMA) which will contain a register of all trials carried out in the EU, a summary of results for all trials, uploaded one year after the end of the trial at the latest. Enhancing the competitiveness of clinical research was a primary aim of the directive's revision amid claims that Europe would become an unattractive place to conduct large-scale trials on potentially lucrative new medicines. 2 Oct.: EMA management board to approve new transparency policy.